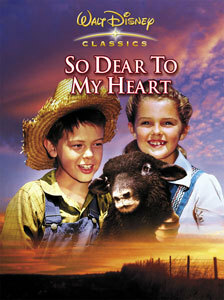 So Dear to My Heart is a feature film produced by Walt Disney, released in Chicago on November 29, 1948 and nationwide on January 19, 1949 by RKO Radio Pictures. Like 1946's Song of the South, the film combines animation and live action. It is based on the Sterling North book Midnight and Jeremiah. The film received an Academy Award nomination for Best Song for "Lavender Blue", but lost against Baby, It's Cold Outside from Neptune's Daughter. 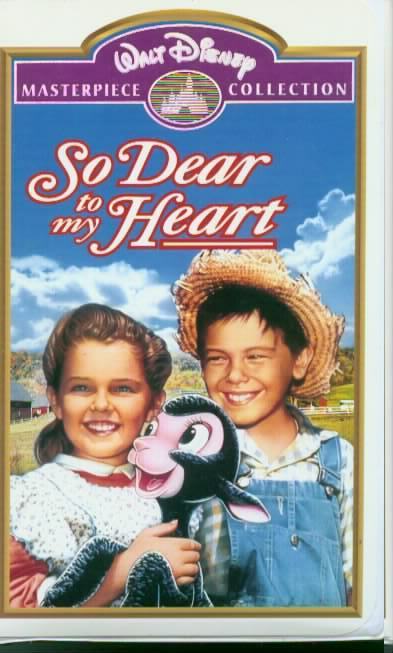 Set in early 20th century Indiana (in 1903), So Dear to My Heart tells the tale of Jeremiah Kincaid (Bobby Driscoll) and his quest to raise his 'champion' lamb, Danny (named for the famed race horse, Dan Patch, who is also portrayed in the film). Jeremiah's dream of showing Danny at the Pike County Fair must overcome the obstinate objections of his loving, yet strict, grandmother Granny (Beulah Bondi). Jeremiah's confidant, Uncle Hiram (Burl Ives), is the boy's steady ally.